After reading Genesis 42 we thought about forks in the road. Joseph had a great future given to him through his dreams, but his road forked and he unexpectedly ended up in Egypt. Joseph's brothers were not favoured sons, but they were nonetheless sons of Jacob - wealthy, and special. And there was a fork in their road too. We listened to a Glen Campbell song. Then we considered how we have to come to a point of surrender in our lives. We really do need to 'let go and let God' as they say. Like Joseph, our present circumstances don't matter, the Lord's grace is sufficient for us. He told us, 'Your life and mine are like two strands being spun into one yarn that can never be undone'. Drew Marshall presents a Christian chat show in Canada. He has the most amazing guests and some truly extraordinary conversations. And most of them are available online, not only live but as a library of MP3 files for download. I encourage you to go and listen. Drew has such a wonderful, relaxed, jokey yet serious manner. He puts everyone at ease and his guests just settle down and talk openly and easily. Despite his chilled manner, Drew asks some very direct questions and expects straightforward answers. This is radio interviewing at its best. But to see the full breadth of the interviews you need to go to the show's website and browse around a bit. Once there, click the 'Listen' button just below the banner and you'll find a page for each year. Each of these pages is filled with interview notes and links to MP3s, you'll need to scroll and scroll to see it all. The files are added to the website once a week, six or seven days after each show goes out. Hint: Do you have to drive to work every weekday? Many of us do. 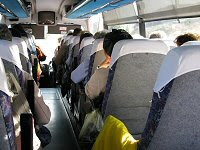 Download some of the MP3s, load them onto an MP3 player or cut them to CD and listen as you drive. The journey will fly by, I guarantee it. The heavily corroded remains of an intricate and strange looking mechanism were found in 1901 in a Mediterranean shipwreck. Sixty years later after painstaking cleaning and study, it emerged that the device was a mechanical analogue computer for predicting the movements of the sun and moon in the sky. Various replicas have been built based on the known features of the mechanism. The Antikythera mechanism makes it abundantly clear that the Greeks were advanced, not only in their scientific knowledge, but also in their mechanical technology. 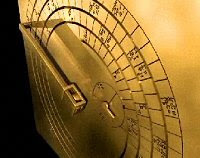 Reports from ancient writers like the Roman author, Cicero, describe mechanisms such as Antikythera. But until the corroded remains were recovered and studied these written accounts seemed fanciful. Surely the ancient world had nothing this advanced? More recent studies have used high resolution X-ray tomography, and better reconstructions have become possible. One of the later reconstructions can be seen working in the video below. If you view the video from You Tube you can switch to a higher resolution. The X-ray tomography data has opened up a new window into the workings of the device. But it has also enabled historians to read a considerable amount of Greek text from the metal surfaces. This text consists partly of labels on the various scales and displays the mechanism used to present the positions of planets, calendar dates and so forth. The remainder of the text is a guide on how to use the device. A great deal can be learned from the inscribed text. The names of the months varied from place to place in the ancient Greek world and this means we can determine its place of manufacture or intended use to be the central Mediterranean, not as originally supposed the eastern Aegean. A longer and more technical video is presented on the Nature website (select the high resolution version and watch it in full-screen for the best view). There are also links to the Nature paper by Freeth, Jones, Steele, and Bitsakis, and a Nature news story (though there's a fee for the full text of these). Wikipedia's article on the mechanism provides more detail for the average reader and has an excellent list of references, links, and suggested additional reading. One of the links is an article from New Scientist giving a good deal of background. Bill Heroman has suggested a group blog where verses from the gospels are taken and questions asked about 'the hidden years', the period of Jesus' childhood and adolescence before he appeared before John for baptism. Bill provides a first example on his blog. Here another one from me. Scripture: Then he went down to Nazareth with them and was obedient to them. But his mother treasured all these things in her heart (Luke 2:51). A delicate and rather tricky subject came up recently on a mailing list I belong to. It was the topic of Islam and the meaning of the term 'jihad'. One of us posted a message suggesting that Islam does not support violence and that if we approach Muslims with fairness and kindness we would find the great majority of them to be peace loving people of goodwill, people who might be able to receive the good news of life in Christ if only we would set aside our fear of terrorism and religious war. The original message post suggested we read the article 'Jihad' Not a License to Murder. As you will see if you read it yourself, it's a review of a book called 'A Deadly Misperception'. We know that we serve the King of Kings, we know that the Father IS love. Certainly, it is love that will win the day in the end, not violence. We must pour out good things on those around us just like Jesus did. We must bless, not curse. But we should not accept anyone who comes with a different message. Be gentle, yes, always! But also be wise. What was I getting at? What did I mean by 'something deeply dark'? Let's take a look at two aspects of Islam, what it claims and what it does. But before we start I want to stress that I have nothing in my heart but goodwill towards all people, everywhere, whatever they believe, whatever they do. Love, sin, and forgiveness - I agree with the person who raised the subject on the mailing list. We must show love and respect towards Muslims whenever and wherever we meet them. We must accept all people at face value, not because they are Muslim or Hindu or Christian or Jewish (or of any belief) but because they are people. This is more true for a Christian than for anyone else. Yahshua told us and showed us that we are to love the Almighty with all that is in us, that we are to love one another as he loves us, that we are to love our neighbour just the same way we love ourselves, and that we are even to love our enemies. So on what grounds might we not love a Muslim? We have all sinned, nobody walking this earth today or in the past can claim to have lived without sin except for one, Yahshua, Jesus, Isa, however you choose to name him. All have sinned and all will have to stand before the one who sits on the heavenly throne. Will a person be forgiven or condemned? A Muslim cannot know until the judgement day, but if you have repented of your sin and fallen in sorrow and shame at Yahshua's feet believing he is who he claimed to be, if you have trusted in him and no other, he reaches down and raises you to your feet as a new creation. He forgives you, declares you to be free of sin, accepts you, and welcomes you. He also fills you with his presence so that he lives in you and changes you. This changed life enables the believer to do things that would previously have been impossible. Loving your enemies is one of those things - Yahshua is love in person, because he lives in me I can love with his powerful love instead of my own feeble love. So I must love all people even if they wish me harm, indeed even if they do me harm. This is utter foolishness to the world. So what did I mean when I wrote, 'There is something deeply dark about Islam'? First, I do not say there is something dark about a Muslim, but about Islam. There's a big difference, a Muslim is a person, Islam is a religion. So what do I mean by 'something deeply dark'? What Islam says - Islam makes many claims and statements and most of them seem harmless enough. But there is one claim that Christians can never accept, and that is that anyone except Yahshua has preeminence. Islam makes it very, very clear that Isa, though a great prophet, was a lesser prophet than Muhammad. They explain this by claiming that the New Testament writings have been corrupted since they were first penned. Muslims believe that Isa (Jesus) did not claim to be the Almighty dwelling in human form, this was an error added later. Muhammad is the last prophet, the Great Prophet, earlier prophets (including Isa) brought partial truth but Muhammad brought the full truth and the Qur'an (as recited in Arabic) is error-free. Translations are approximations to the meaning and can never be entirely error-free. So we see that Yahshua is light and if we follow him we'll have his light as a guide, and that Yahweh is light without even a hint of darkness. We can see that in the same way the Holy Spirit (the Spirit of Christ) must also be light. Only light can illuminate our hearts and lives as he does. There is only one light, made known in three persons. If we are not walking in the light, we are walking in darkness. Everyone who is not following Yahshua does not have the light and is walking in darkness. And who would want to draw a veil of darkness across our minds to prevent us following Yahshua? Why, the accuser, the enemy, the Prince of Darkness - who else? Yahshua also said, 'The eye is the lamp of the body. If your eyes are good, your whole body will be full of light. But if your eyes are bad, your whole body will be full of darkness. If then the light within you is darkness, how great is that darkness!' (Matthew 6:22-23) A follower of Islam, denying that Yahshua is the light, is walking in darkness. See how this can change in the most dramatic way. will be evident by that alone. The history of Islam - There is no space here to cover the history fully, it would take many books. Good places to start for anyone wanting to know more would be the Wikipedia articles on Islam, Muslim history and Muslim conquests. It is the spread of Islam that I want to mention briefly here. Christianity spread by entirely peaceful means in its earliest phases. Believers were often imprisoned or killed for their faith, but they spread by sharing the good news, not by waging war on those around them. Yahshua criticised Peter for using a sword, and that is the pattern we should continue to follow. There have been times when so-called Christians have used warfare to spread their control and influence. The Crusades in mediaeval times and the Spanish Inquisition are the most obvious examples of violence of this kind. But true followers of Christ would never use such methods! Knowing that Yahshua preached and practiced love towards enemies, how could we ever think that spreading our faith by war or torture could possibly be right? No, the people who did these things were not walking in the light! And what of the early spread of Islam? Muhammad used warfare against his enemies, taking control in Yathrib (now Medina) and finally conquering Mecca. After his death, his followers continued to use warfare to conquer further cities and nations. True followers of Yahshua are people of peace, loving all without distinction. Due to misunderstandings, false teachings, and trusting in worldly power rather than in grace those who claimed to follow Jesus have often fallen far short of his command to bless and love. The same cannot be said of the followers of Islam where violent means are sometimes justifiable. Christianity has sometimes spread by the sword and should hang its head in shame. Islam has often spread by the sword and sees nothing wrong in that. In this way it swept across the whole of once-Christian North Africa. And the trend continues today. Islam aspires to bring the entire world under it's sway and some elements are willing to kill and maim by delivering bombs or raiding cities. We have seen it again and again and again - New York, London, Madrid, Mumbai. There is a deep darkness hidden in Islam, it is more than just an absence of light. There is something lurking there that always tries to crush the light when he is brought near. Why is it that in the West, Muslims are allowed to build mosques but in Muslim lands Christians are persecuted? Why is it forbidden to share the gospel even in a 'secular' state like Turkey? Why is a Muslim punished (even sometimes with death) for converting to another faith? Jihad? - Oh yes, there's the little matter of the meaning of the term 'jihad', also part of the original mailing list message and discussed in 'Jihad' Not a License to Murder. Dictionaries are compiled by researching words as they are used in print. Or to look at it another way, a word means whatever people mean by it. Words also drift in meaning over time. 'Gay' used to mean no more than happy, colourful, joyful, and fun-loving but in today's dictionaries it has shifted considerably. So what about the Arabic word 'jihad'. It has two meanings, the underlying sense is of a struggle, striving to achieve something, not giving up. It is sometimes used by Muslims to mean the internal struggle to live a holy and pure life, but it is also sometimes used by Muslims to mean warfare against the non-Muslim world. To claim the word has only the first meaning is simply unsupportable. Like all words - it means what people mean by it, no less and no more. Sean couldn't make it tonight so there were only two of us (and Jesus, of course - he is always with us). We talked together about church life and encouragement. Rachael read the story about the ham of God by Anne Lamott. There's a transcript of Anne talking about the story, it shows how even the most unlikely and unexpected events can be used by him if we are just open enough to see. It shows how sometimes he may give us something for someone else so that we need to relate together to get the best outcome. Like Anne, sometimes we can go from desert to rain in the blink of an eye! We also thought about hidden writing using unknown letters. Try as we will we simply cannot see the meaning. Father says that even though you can't see the meaning, yet there is a meaning. Chris pointed out that we are merely 'on loan' to one another, we are a blessing to one another. Rachael saw people in a huge circle, dancing and playing harps, pipes and other instruments. They were dancing around the walls of a town like Jericho. It seemed to her that it is sometimes the relationship of the people to one another that brings the walls down. It's important to keep on dancing. Hang on, there's something unusual here. There's a shiny stone in the ashes. He picked it up and blew off the dust, it seemed unusually heavy in the hand, it was a strange shape, and its colour was unlike any rock he'd seen before. He spat on it and rubbed it with his finger, then took it over to the brook and washed it. This was something special, he was was going to keep it. He slipped it into his leather pouch. He thought about the fire. It had been fiercely hot where the wind had blown through a gap in the hearthstones, he'd noticed that last night. Fires were usually orange in the centre, this one had been a bright yellow, almost too bright to look at and much too hot to get close. Perhaps the extreme heat had somehow created this object? What else had been different? What's going on in this little story? When is something science? When is it technology? What's the difference? Does it matter? There's popular confusion about these two words, not helped by the fact that some of our most respected sources are as confused as the general public. But there's a perfectly clear difference between the two and it's really not hard to explain. We don't even need a scientist or a technologist to help us nail this one; a good place to start would be a dictionary. The Wiktionary definition offers two current meanings for the word 'science'. 1 - The collective discipline of study or learning acquired through the scientific method; the sum of knowledge gained from such methods and discipline. 2 - A particular discipline or branch of learning, especially one dealing with measurable or systematic principles rather than intuition or natural ability. 1 - ... the study of or a collection of techniques. 2 - ... a particular technological concept - the body of tools and other implements produced by a given society. We can see right away that science is to do with knowledge whereas technology is concerned with techniques. The difference is that science seeks to understand what is while technology has a purpose and wants to make use of what is. Two things immediately follow from this. There can be no technology without prior science, and technological advance usually opens fresh opportunities for science. Making a discovery - Let's take another look at our little story. During the Late Stone Age (the Neolithic) somebody must have noticed that a shiny material was left behind in the ashes of last night's fire. This is science, initially it's just a matter of observing what happens. Maybe copper had been accidentally extracted from pieces of ore many times before but very little attention had been paid to it. Only a particularly inquiring mind would notice and begin to wonder. What if? - The next step is to test the possible causes for what we have observed. This is a scientific experiment. The man who found the special pebble might try to create a hot fire deliberately by altering the layout of the stones and the amount and kind of wood. He might play around with different kinds of stone. He might discover that he could make a fire hotter by rearranging things. He might also find the heavy, lustrous material only appeared when a very hot fire was combined with a particular kind of hearthstone. By trial and error and keen observation he might become quite proficient at producing copper. Finding out how things work is science, using the knowledge to make copper on demand is technology. It would be worth making because people always like unusual objects, he'd be able to trade lumps of this stuff for food, stone tools, and other things he needed. Science is a matter of observing, making hopeful guesses, testing ideas, and narrowing down the truth by ruling things out. Technology is a matter of seeing the value of something and finding practical ways of achieving it. Science may lead to new technology, and technology may lead to new industry. And existing technologies and industries may enable further scientific progress. Long before copper was first extracted by fire, technologies based on wood, stone, skin, fibre, bone and other materials were well advanced. Homes could be built from mammoth tusks or branches cut from trees, the frames covered with sods of earth or foliage. Baskets, woven fabrics, and simple pottery were used for practical purposes and for decoration. And hunter-gatherer technology was well advanced with good strategies for finding edible roots, fruits, shellfish along with bows, stone-tipped arrows and spears and more. Why does it matter? - We often say 'science and technology' in a single breath without thinking about the difference. Studying sub-atomic particles is science so we're tempted to think that a particle accelerator is science too. But the accelerator is technology. Because astronomy is a science we think that the Hubble Space telescope is also science, but it's not. This confusion becomes a problem when we oppose science because we are anxious about technology. Science informs us about the universe in which we live, technology makes changes that often affect us in practical ways. It is never harmful to understand something, but it may be harmful to make use of it. The internal combustion engine is a great example. Understanding combustion, the expansion of gases, or the structural strength of materials does not in itself do either harm or good. But the technology of an engine can be used to power an armoured vehicle or an ambulance. It can be used to make war, deliver a car-bomb, or rescue a sick person. And as we all know it may also have unexpected side effects such as causing global warming, city smogs, and respiratory diseases. We will all agree that a certain level of effort is useful, without science and technology we would still be living without clothes, without houses, without fire, and without medicine. But blaming science for issues with technology is counterproductive. It's not what we know that gets us into trouble, it's what we do with what we know. But it's also true that our current technology has done untold harm. 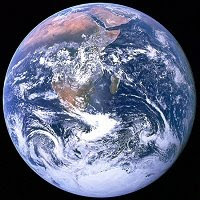 It has enabled unsustainable growth of population and comsumption of resources, we are now between a rock and a hard place. The main issues with science are deciding how much of it we can afford and where to focus the funds and effort. There are also some regulatory issues, science depends on experimentation and experiments may raise moral issues. We sometimes disagree over what is acceptable. The main issues with technology are how it will be used and how it will affect society and our environment. Meanwhile, neither science nor technology can address the great questions of purpose. Why are we here? Why is the universe here? What is the purpose of love? Moral issues, questions of right and wrong, value judgements, all of these must be handled in some other way. Your home is full of the results of technology. Can you identify some of them? Can you make any guesses as to the kind of science that underpins those technologies? We thought about the Christian life out in society. We are indeed 'jars of clay', we see the Almighty's glory in Jesus face - a treasure indeed! Jesus shared his life with us, we need to share our own lives (which is really his life) with those around us. We read from James 2, especially verse 8 that tells us loving our neighbour is a 'royal law'. Jim saw people waiting on a platform for the train and sure enough the train arrived - but it didn't stop. We had the thought that when a mirror is broken, each piece still reflects him. Nothing is lost. This seems to be a picture of the church. This will be our last Tuesday meeting, in future we will meet on Mondays as Rachael will not be free on Tuesdays. Two items that appeared in my email inbox this morning encouraged me to write something myself. One was a blog post by Prayeramedic, the other an email from 'The School of Christ'. 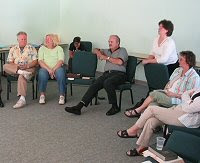 The blog post questions the process by which people are encouraged to join the Church, the email questions our idea of unity within the Church. They are strong messages and they demand that each of us consider where we stand on these important issues. I'm not saying it's wrong to use a prayer to help people confess Christ, but to convince people that they are saved simply because they pray a prayer is ridiculous -- it is not the Gospel of the Scripture. This runs deep, it runs at the heart of how the Church never talks about sin anymore. People will pick up on this phrase, "that they may all be one", and try to create a unity that embraces everyone equally, no matter what they teach, what they believe, or how they live. In this false unity, every path to God becomes a valid path of spiritual expression and should not be criticized. Of course this contradicts what Jesus had just said about Himself being the only Way to the Father, but it certainly makes it easier for us to create unity for everyone. Is that what Jesus wants - quick and easy unity through compromise and concession? What are we to make of these messages? Are these challenges valid? Does it matter? I believe the challenges are valid and it matters very much indeed. In the first case, unless we understand what Christ did and why, we cannot fully engage with the process of becoming a believer. And in the second case, if we don't understand what Christ meant by 'being one' we will stand very little chance of living in unity as he intended it. In both cases we see that there is the same principle at work. Either we understand what Yahshua said in his terms, or we see it on our own terms. If we see his words through our own wisdom we are certain to miss the point. And these are two very important points indeed. We need to be sure that we are walking in his powerful light, not merely in the darkness of our own intellect and emotion. This is not about what we would prefer, it's about the facts as they have been explained to us by the One who really knows. In Romans 8:1-17 Paul writes about living in the Spirit of Christ. In verse 9 he writes, 'If anyone does not have the Spirit of Christ, he does not belong to Christ' (emphasis mine). Chip Brogden quotes from Yahshua's amazing prayer in John 17:20-26. The prayer is intended to include today's believers, this is clear from verse 20, 'I pray also for those who will believe in me through [my disciples'] message'. And he wants us to be one in the same way that he and the Father are one (verse 21). So it's impossible to deny that unless we have the Spirit of Christ we do not even belong to him, but also that if we do have the Spirit of Christ we will be drawn into oneness with Yahshua, with the Father, and with one another. Why is this? It is because if I am in Christ I must have his Spirit in me. I cannot be in him unless he is also in me! This is salvation, to have his Spirit in me. And if I am in Christ and he is in me, then where he is I am also. And as he is in the Father and the Father is in him, I too must also be in the Father and the Father in me! And as the Spirit of Christ is the Holy Spirit, if Christ is in me the Holy Spirit is in me too. So now we can see that the Father, the Son and the Spirit are one, and all of us who believe are also one because we are all in Christ together. We can't help but be one. So our unity is not dependent on our will or attainment, but like salvation itself it depends only on being in Christ. So the Kingdom of Heaven is not something to be attained, and it's not a place we will go when we die, the Kingdom is the place of unity with the Father, with the Son, with the Spirit, and with one another. The Kingdom of Heaven is here right now and it's attained solely by the will and purpose of the Father. But there is one final point. What is the purpose of the Father in all of this? To find out we need to look again at John 17:23, 'May they be brought to complete unity to let the world know that you sent me and have loved them even as you have loved me'. There we have it. The unity has a function. It's so that the world will know that the Father sent the Son and loves us the same way he loves the Son. The unity is there to stand as evidence, but not just any old unity will do. 'Complete unity' is what the Almighty is looking for in his people, absolute unity with him and with one another. You are in a remote African village, in the middle of Antarctica, on a small Scottish island miles from the nearest town. You have no mains power, no internet connection, no phone connection - not even mobile coverage. You need to provide full internet and Wi-Fi services to hundreds of people. How can it be done? Read on! One solution is SolarNetOne, designed and built specifically for the purpose. It uses a solar panel and battery system to provide a reliable long-term source of energy, and a low-power server using a satellite connection to access the internet. Internet cafe service is based on a client server system as this reduces the power requirements, and Wi-Fi coverage over a two mile radius is included so anyone with their own computing system and power supply can connect to the internet very simply. SolarNetOne really is a complete solution. SolarNetOne is a collaborative effort spanning several continents, organizations, and technical disciplines. The goal of the effort is to develop a feasible, sustainable solution to bring the internet to places that have no connectivity, no phone service and no electricity. Developed by Florida based GNUveau, the system is a solar-powered Internet “hub” (running Ubuntu GNU/Linux). The terminals includes access to web browsing, email, voip, office, multimedia, software development and web development tools as well as 15,000 other applications. Wifi coverage spans a 2-mile radius, with no fuel costs, no polluting emissions and a long lifespan of up to 20 years with proper maintenance. The entire system, in fact, operates on about the same amount of power as a 100-watt light bulb, GNUveau says. It's not the most elegant approach in terms of appearance, but much more significantly it's robust and readily maintainable and consumes only 100 W of power. The entire system can be delivered in a single small van (if there are adequate roads). The small bulk means delivery by small aircraft or boat would also be possible. The guy behind all this is Scott Johnson. Well done Scott, you get my vote! This is real, practical help to people who need it. Katsina State University in Nigeria is already benefitting. Hopefully many more installations will follow. For more information take a look at the following resources. GNUveau Networks - no prizes for web usability or design excellence! We chatted over hot drinks and just enjoyed one another's company for a while. Jim explained how lost he would feel without a Bible and the opportunity to read it often. We thought how remarkable it is that there is something relevant for us on pretty well every single page. Chris turned up Numbers 1:41 and read it out as a tongue-in-cheek challenge, 'The number from the tribe of Asher was 41,500'. Sean and Jim considered this and almost instantly came out with the thoughts that Asher was greatly blessed, that the 41 500 were also richly blessed, and that we are blessed too because the passage expresses how the Lord pours out abundant good things on his people. It seems Jim and Sean are right, there is something valuable to be found in every verse! We prayed for our children and for our wives, and Sean told me that a seed has been planted in my daughters. 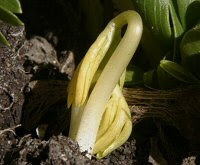 That I don't need to be anxious about them because it has been planted, it has not died, and one day when the conditions and the time are right those seeds will sprout and grow. Thinking about children and wives, Chris said that we are not perfect fathers or perfect husbands so the situations with our families are not, and cannot be, perfect. But despite this it's important to remember that his love in us stretches, but will not break. We don't love our children because they always behave the way we would want them to behave. We accept them despite their imperfections because we love them! And Father's love towards us is exactly the same, he doesn't love us because we are good. But because we are in Christ, he loves us despite our faults. Great Doddington - Smoke or cloud? Jody had prepared something from Job and took us through the entire book, picking out particular verses and passages to focus on how Job's understanding of himself and God changed. We go through a similar process in life (and especially in mourning). In Job 2:1-10 we see how he is resisting defeat and remains strong in spirit. He confronts his wife, 'Shall we accept good from God and not trouble?'. But in chapter 3:1-5 we see that Job is now in deep despair and is cursing himself. He wishes he'd never been born. In chapter 12, verses 1-4 he feels the world is laughing at him, he has become bitter. Eventually Elihu comes on the scene; as the youngest person present he has been listening quietly but now feel he must speak up to say what the others have overlooked. In Job 32:1-5 he reminds Job and his friends that we may feel the need to justify ourselves but the Lord is beyond criticism. He does not need our justification, he can do whatever he wishes and cannot be held accountable. He is always right. And in chapter 40, verse 7, the Lord himself speaks. As we talked and prayed with Job fresh in our minds, the Spirit brought thoughts and images to mind. Rachael described walking down some stairs, out through some heavy double doors, into the garden, and straight into his presence. We can relax in his presence and we can see and feel all of the good and amazing things that are there. Jody pointed out that smoke smells of burning, but clouds in the mountains smell clean, pure, and wonderful. We laughed together at the idea of 'spiritnav' (like satnav, 'spiritnav' guides us). And just like satnav, where does the signal come from? From above! There were just two of us this evening as Jim was late home from work while Roger and Ruth remain unavailable on Thursdays until 4th December. Thinking about this later it was clear that when his love pulls on us he does it so gently that our little thread is not broken. When our love tugs on him, we could never hope to move the steel hawser even a millimetre, but he moves gently towards us in response to our puny pull. When we tug on him he does move, not because we are strong but because he cares. Continuing with our recent form of meeting, this week it was Chris's turn to bring some prepared material. He decided to share more detail about the trip he and Donna had made to Israel in November 2007 and he brought a few pictures from the outward journey. The plane had to wait about 20 minutes before it could land at Tel Aviv, a heavy thunderstorm and a very wet runway meant that it was impossible to land on schedule. That first night in Israel was spent in a coastal Kibbutz hotel and the storm continued all night with torrential rain and frequent, violent bursts of thunder and lightning. This reminded Chris of Paul's shipwreck on Malta in weather conditions that must have been much the same. At the time he was a prisoner on his way to Rome to appear before Caesar, and one of these winter storms had blown up. We read Acts 26:32-28:16 and recognised that Paul's life was very much like our own. He was trapped by circumstances, things happen and we, like Paul, must just deal with them as they arise. Paul was not anxious, he was not frustrated by the delays, he didn't complain, he just took life day by day, moment by moment, knowing that the Lord would use it all. The passage reads just like any typical diary. As we talked and prayed we recognised that we are not special people doing special things, we are ordinary people being used in special ways. There is a world of difference. Rachael described a vision of a waiting room. In this situation people tend to remain alone even though they are together, each one reads a magazine and they don't talk to one another or interact. But it need not be like that. Jody also described a picture, she saw a specialist workshop where cellos were being made, several workers were busy there. She saw one cello neck and fingerboard which already had strings but was not yet attached to a soundbox. She realised that it can't be used to make a useful sound until the two parts are properly joined. In the same way, we are not quite finished yet, but when we are completed and are all gathered together we'll make a wonderful orchestral sound. She understood that it's most important that we allow the necessary work to be done. People came to Moggerhanger Park on 16th November from all around the area including St Neots, Royston, Bedford, Milton Keynes, and Wellingborough. Some came early with children and walked in the park, now passing from late autumn towards early winter. Others arrived as darkness fell. We all gathered in the Park's 'Garden Room' and chatted together, old friends greeting one another, and some meeting for the first time. The children chatted, played, coloured, and ran about as children do. How quickly and naturally they get to know one another with almost none of the guardedness of the adults! Jim's sandwiches were marvellous, described as 'lovely', 'really great food', and 'top sandwiches!' by some of those who tried them. Tea and coffee was welcome as it was a crisply cool day. We quickly discovered that we'd done some things well, others not so well. If we meet again one thing we'll be sure to do is put up signs showing visitors where to go. Moggerhanger Park is a large site and has several roadways, the permanent signs needed some temporary supplements - especially as some of us arrived in the dark. Some of those with young children left early, those that remained sat in a large circle and we had a delightful and encouraging time of sharing, praise, and prayer. People were not shy and there was plenty of variety including pictures, prayer for healing, singing, and prophecy. As we had hoped and expected, Jesus was right there at the heart of all we did and said. Everyone who added contact details to the clipboard also noted that they would like to meet again in future. There was a general feeling that we'll all benefit from keeping in touch informally from time to time. What, you may ask, is 'Fomalhaut b'? If you are interested in astronomy you will already know. Fomalhaut b is a planet circling one of our Sun's nearest neighbour stars. 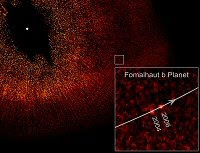 Fomalhaut b has been imaged twice by the Hubble Space Telescope, once in 2004 and again in 2006. This is important because it's the first time a planet outside our own Solar System has been seen to have moved in its orbit around its central star. This is extraordinary news indeed. It's the same scale of forward step as Galileo seeing craters on the Moon for the first time, or discovering the rings of Saturn, Halley predicting the return of his eponymous comet, or the Apollo 11 Moon landing in 1969. Why is it so important? It's a milestone because astronomers have long assumed that other stars have planets. In recent years the presence of such planets has been indirectly detected, but this is the first time we can claim to have seen the light reflected by an exoplanet. You may not have realised it, but you have just lived through a truly historic moment. The difficulty of making these images is difficult to grasp. Look at the picture again (you can click the image to see the full-size version). The star - In the middle of the full image (but near the upper left in the article's thumbnail picture) is a small white circle. This is not part of the image, it was added later, but it marks the position of the star (Fomalhaut). In reality the star would be far smaller, just the tiniest speck, it's shown much larger to make it easy to see. The obscuring disk - if the Hubble telescope had just been pointed at the star, the overpowering brightness would have flooded the image with light so that nothing but glare would be visible. To see details really close to the star, it's essential to block the direct starlight. This was done by moving an obscuring disk in front of the star, and this is seen in the image as the irregular black area around the central white dot. The halo of diffracted light - Outside the black zone, some starlight is still diffracted into the surrounding area. This is the circular zone that looks like the iris of an eye, close inspection of the large version of the image reveals that it's made up of lines of light radiating out from the position of the star. This not a real, distant object, it's created by subtle interactions between the starlight and the structure of the telecope. The debris disk - The oval shape (clearly visible only in the full-size version) is a band of dust, gas, and orbiting rock and ice particles. It's part of a disk of material which is in the process of condensing into planets. Fomalhaut is a young star and is still developing a planetary system. The planet - Just inside the inner edge of the dusty band is where astronomers thought there might be a planet, and sure enough when they looked they found one! This is a gas giant, probably much like Jupiter though something like twice as large, and it is so bright that many astronomers suspect it must have a ring similar to Saturn's (but larger). The real clincher is that the planet appears in two Hubble photos of Fomalhaut, taken two years apart. It has moved, as expected, in its orbit around the star. Have you ever held a wild bird in your hands? It's an extraordinary experience, the soft warmth of the feathers, the bright, shiny eyes, the quivering of life held captive and quietly biding its time until it can be free again. Some people keep birds as pets - budgies, parakeets, canaries, or finches. My first wife and I had three budgies over the years and it was a great way to get to know their individual personalities and foibles as well as the more general awesomeness of minutely patterned feathers and the miracle of flight. But a wild bird held in the hand and then released to freedom, that is something altogether different. First catch a bird - This is no easy task! Nor would I encourage anyone to try to catch a wild bird, it is certain to cause distress and perhaps injury. But several times I've had to catch a bird that's been accidentally trapped in a building. I've found that a quiet approach is best, confining the bird in a corner and cupping my hands around it gently and slowly has always worked in the end. I remember this happening at Long Ashton Research Station (now long gone). I worked there from 1970 until 1998, there was an upstairs corridor bridging two of the main buildings and I found a frightened male blackbird trapped there when I came in to work one Saturday - there was nobody else around. The corridor had glass sides and doors at either end that were usually kept closed. The bird flew up and down the corridor and then backed into a corner where I was able to catch him quite easily. Release - I carried the warm, passive bundle downstairs and out to the main entrance. I set him down on the concrete steps just outside the lobby, he looked around for a moment, spread his wings, and flew away squawking madly. What a joy to see him go, free again at last! Even more delightful was the immediate appearance of a hen blackbird, evidently his mate. I have no idea how long the sleek, black male had been trapped, but she had hung around waiting for his return. And now, here he was, none the worse for his ordeal. I've been reading some more Kierkegaard -- very deep stuff, but profound (when I can make sense of it). Lately, we've been remarking on just how many different people we keep coming across, different spheres of where God is stirring things up, challenging his people to question the status quo, and ask Him once again how it is that He wants us to live as His disciples. What is so remarkable is that the more we scan the horizon, the more we begin to glimpse the scope and the massive scale of this response to the Spirit's prompting. One of the key characteristics of this shift, is that there is a growing understanding that the Kingdom is not run by a chain of command, no hierarchy, and that in fact there never was. As that reality is grasped, it is almost like seeing the ocean for the first time. No one owns it. No one controls it. No one person, and no one group, can claim to even to be able to monitor and record all that is happening amongst those who belong to Christ around the world. We see people awakening to the idea that they do not in fact need to meet in special, religiously-oriented buildings, but can in fact meet anywhere, be it a coffee shop, park, beach, or home. Trapped in a corridor - I was reminded of the blackbird. Like the bird, the Church has been trapped in a corridor. In the Church's case it's a corridor consisting of rules and regulations, power struggles, structures, organisations, and doctrines. Just as the bird can see out, but not get out, so many in the Church have seen outside the box and have wanted to find the way out. But we can't get out on our own initiative, we need outside help. We need the Holy Spirit to steer us, we need the Shepherd to call us on, we need to be rescued and released. Just in our day, it seems, people are catching a new vision of what it means to be a believer and follower of Christ. It doesn't mean sitting in a pew once a week, it does mean getting out into the world and living transformed lives in which friends, family, colleagues, and strangers alike can begin to see, not us, but Christ in us. We are being lifted up by the gentle hands of Grace and deposited on the outside of this structure that has trapped us for so long. Now we are free to fly! Sometimes we need to be 'backed into a corner' like the blackbird before we can be lifted and removed from the place where we've been trapped. Go on, stretch those wings, take a great leap into the air and fly. You have the freedom to do it, right now. Begin to live - Let's be clear, it's quite possible for us to fly free - yet immediately start work on building a new structure! That's not what we are called to do. Yahshua told us, 'I AM the Way, the Truth, and the Life'. He is the Way so we need to be guided by him and follow the course he has set. He is the Truth so we are to believe all that he says about himself and about the Father and about our place and role in this world. And he is the Life so we are to live his life here in the world, not our own life. Living our own lives is what got us into this mess in the first place. But now we can fly free and truly be his people in this place. Very brief notes only for this meeting. We travelled over to Moggerhanger Park to make some final decisions about the planned celebration on 16th. The main decision was whether to use a room in the main house or to use the 'Garden Room'. We quickly agreed that the 'Garden Room' was ideal with plenty of space and a mix of tables and chairs at one end and an open area with rearrangeable seating at the other. We retired to Jim's office and spent the rest of the evening chatting and in prayer. Tonight it was Rachael's turn to bring something to the table, and the evening turned into a discussion about family, both worldly and spiritual, loss, grief, hope, and the Lord's healing. We thought about Madeleine McCann again, and prayed for her and her family in their continuing search for their beautiful daughter. Jody prayed that Father pour our His holy spirit upon Madeleine and her family, that they may continue to receive the blessing of hope, and she received a word that although we do not know the future, nevertheless He does, and that He continues to be very close to Madeleine at all times and holds her in His heart. We were reminded that all things work to His purpose, however impossible that may seem to us at the time. We prayed for Kate and Gerry McCann, that they might be gently guided to a place of acceptance, and for them and ourselves, that we might recognise Him as He really is, in the ordinary, everyday things in life. We read aloud and discussed a prayer for Madeleine, single lines taken from different parts of the bible, strung together like a beautiful necklace with a distinct meaning for her, a love letter from her Father in heaven. This included the lines 'my dear child, I knew you even before you were born' (Jeremiah 1:4-5), 'my plan for you future has always been filled with hope' (Jeremiah 29: 11), and 'when you are broken hearted I am close to you' (Psalm 34: 18). 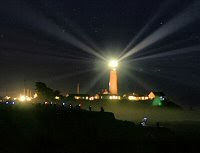 Peter prayed that we can be beacons of light, and that we might be strengthened to carry His word beyond ourselves. This led Jody to pray that we be enabled to leave everything worldly behind, and do the things that He speaks of, and be in the places He want us to be. We thanked Him for reminding us that He always loves us. Rachael shared a picture. She was walking slowly down a beautiful winding flight of stairs. At the bottom were some French doors, fully opened, and a gentle breeze moving the voile curtain at each side. She walked out into a beautiful garden, where everything was perfect, with wonderful flowers of fabulous colours and scents, melodic birdsong, a peaceful and tranquil place that gave her rest and healing. This is His garden, where we can visit at any time, just by thinking of Him. He will transport us to a place of calm filled with His love when we call upon Him for help. Jody also saw a picture, of an angel fish swimming in really dark water. There was a chemical phosphorescence in it's scales, which meant that even when a very tiny ray of light hit it, it shone and lit up. Jody described a feather like fin on the fish, green, blue and red, iridescent, which glowed in the darkness. God is saying that He is the fin that propels us forward, even when it is dark He knows the way, even when the water is really black, He is still very colourful and is able to move us around in the world for His purpose. Rachael read some short extracts from David Beckham's autobiography. David is not a Christian, as far as we know, but nevertheless some of the things he has written about in his book about family, lit up with a meaning beyond his own. For example, where he says that until he loved his own children, he never really realised how much his mum and dad loved him. As parents ourselves, with the birth of a new baby, we have all experienced anew the realisation that this special joy must be a reflection of how much our heavenly Father loves us. In knowing how deeply we feel for our own child, we get some inkling of His attachment to us. David describes the birth of his second son, when he had expected, having experienced it once before, to be ready for the emotions it brought. But then says 'that's not how it was for me at all. ...the feelings of excitement and happiness, of pride and awe, just flooded through me with all the same intensity they had three years before.....it took my breath away....I could feel my heart grow to make room for the new life'. It seemed amazing to us that our Father in heaven feels something like this when one of us is reborn. That each one of us is special to Him, that He has enough room in His heart for all of us to thrive and grow in the spirit. Brief notes only were kept for this meeting. We considered Psalm 130, and especially verse 4 which speaks of forgiveness. Then we thought about John 6:16-69. The people searched really hard for Yahshua, they looked everywhere. Verse 26 shows that they were looking because they'd been fed whereas what they really needed was to believe in Christ (verse 29). They were looking for proof, edible proof! (verse 31). In verse 60 we see that this is a hard teaching. If Jesus is the sacrifice for sin then the Temple and the priests and the Law are superfluous. Everything changes! It's a very hard and unpalatable teaching - throw away everything you think you know and start again! This evening only Jim and Chris met as others were unable to join us for a variety of reasons. We shared our news, discussed aspects of church life, and considered the Moggerhanger meeting planned for 16th November. We also prayed for people, organisations, and events in the area. There's not much in the way of notes this week, but we both enjoyed the time together and Yahshua's presence with us. He is working his plan out as the days and weeks roll by. Praise him! Last week, we decided that we should take turns to prepare something, a Bible passage, something we'd read that has touched us or helped us see something in a new way, anything the Spirit leads us to use. Jody had made the suggestion so she also took on the first week. She shared a section from an historical novel she's been reading ('Revelation' by CJ Sansom). Amongst other things the book describes religious fanaticism in Tudor England. Henry VIII has dissolved the monasteries, the church is in turmoil, and the moderate lawyer who features in the book realises that the truth is not well-served by rigid and often horrific rule-following. Life and truth cannot be achieved by keeping laws or traditions or regulations. Jody also read a passage from another book, 'Inside the junk drawer'. She drew our attention to Galatians 4:8-9 and we talked about the need we all have to let go our heart's junk. Chris thought that our life is like a journey in a boat. First the boat needs to be pushed out into water deep enough to come free of the bottom, then we can get in and begin to row out to where there is a good breeze. Finally the sail catches the wind and after that there is no need for further effort. We need to steer but the wind does the work of moving the boat until we finally arrive at our destination. So in our lives we have to make the choice to push off and row out, just like deciding to let go of our 'junk'. But once we've done that we are free to float, moved by the Spirit in the way we should go. And he'll make sure we reach our destination even if we don't know the way. Rachael saw a maze and realised that we're not separated from him even when sometimes it feels as if we are. We see hedges all around and we don't know the way to the centre, but from his point of view he can simply reach over the hedges to where we are. They are not obstacles for him. She also spoke about the sound of a trumpet. Our voices are proclaiming voices, praising him. All our individual voices together make one sound like the trumpet. It is the sound of raising him up, lifting him to his rightful place! And then Jody read 1 Corinthians 5:7-8 which speaks of the yeast and how we need to get rid of it (all our junk), and how Christ himself is the Lamb and our celebration requires sincerity and truth. Nitrogen trifluoride - should we be concerned? Nitrogen trifluoride is a powerful greenhouse gas, and there's four times as much in Earth's atmosphere as we thought. Not only that, this stuff is 17 000 times more potent than carbon dioxide and the levels are increasing by eleven percent each year. How serious is the situation? How did we allow it to happen? What can we do about it? Using new analytical techniques, Ray Weiss of the Scripps Institution of Oceanography in La Jolla, Calif., led a team of researchers in making the first atmospheric measurements of nitrogen trifluoride. The amount of the gas in the atmosphere, which could not be detected using previous techniques, had been estimated at less than 1,200 metric tons in 2006. The new research shows the actual amount was 4,200 metric tons. In 2008, about 5,400 metric tons of the gas are in the atmosphere, a quantity that is increasing at a rate of about 11 percent per year. 'Accurately measuring small amounts of nitrogen trifluoride in air has proven to be a very difficult experimental problem, and we are very pleased to have succeeded in this effort,' Weiss said. The research will be published Oct. 31 in the American Geophysical Union's Geophysical Research Letters. The gas is used in electronics manufacturing, especially LCD screens, solar cells and integrated circuits. How serious is the situation? - It seems that nitrogen trifluoride contributes only about 0.15 percent of the total warming so we have no reason to panic. But the story does demonstrate how important it is to measure what we do - estimates of the amounts released were off by a factor of four times. If we take no action it's clear that levels of this substance will continue to rise. With increasing production of electronics in general and LCD screens and solar cells in particular it seems rates of release of this gas can only accelerate. If so, we do need to be concerned and should be putting our house in order now while atmospheric levels remain low. Nitrogen trifluoride breaks down very slowly in the atmosphere, six to seven hundred years. What we release today will be with us and our descendents for a very long time. How did we allow it to happen? - It's not yet a major problem and we've only just become aware of the scale of its presence in the atmosphere. In ten years time if we are asked 'How did we allow it to happen' we'd have to admit to carelessness. But right now the question is a little unfair as the data were not available. Now that the world is aware of the situation it will be possible to decide whether action is needed and if so, what form it should take. What can we do about it? - In terms of what has aleady been released - nothing. All we can do is wait for a thousand years or so until it goes away. In terms of releasing less in future, or even banning the gas altogether, we can probably do a great deal. We will need the political will to act and for that we'll need to collect more data and then do further scientific and technical consultation. That stage is already underway. In practical terms we could add the gas to the Kyoto Protocol (already being considered), find alternatives for electronics manufacturing (might prove difficult), or ban the production of the gas (could bring the electronics industry to its knees). Wisdom demands that we act fast enough to prevent a serious problem developing, but slowly enough to avoid expensive disruption to the electronics industry. The concept of clergy and laity is entirely unknown to the writers of the New testament. It's just not there. In his Prayeramedic Blog, Dan O'Day asks a series of questions about this and I'll attempt some answers here. This is not meant to be a point-by-point response, instead it will focus on two underlying issues that inform our thinking. Dan's questions are not his alone, there are many others looking for answers to the same or related questions. The answers I give here are my own and are based on my particular spiritual journey. But didn't they have priests in the Old Testament, and doesn't that carry into the New Testament with pastors? Not that we need priests, but pastors simply serve as "ordained" leaders. Indeed there were priests under the old covenant, but almost everything changed when Yahshua returned to his Father in Heaven. As his body here on Earth, Jew and gentile, man and woman, slave and free, we have all accepted Yahshua as Lord and King. We are a royal priesthood, HalleluYah! We are all, therefore, priests. And priests serving under a High Priest of the order of Melchizedek (see Hebrews 7). In other words everything has changed, the old arrangements no longer apply. We are priests in Christ's line, not priests in Aaron's line. What does this mean? If I am a priest and you are a priest, which of us has priestly authority over the other? There is of course the Great High Priest who is Christ, and he has authority over both of us. But we are obedient to him alone, not to one another. And again, what is a priest? A priest is one who offers a sacrifice on behalf of others. But there is only one sacrifice, Christ the Lamb, who offered up himself. Everything is brought together in him, he is Sacrifice, High Priest, King of Kings, Head - but also Emmanuel, 'Elohim with us'. It's no coincidence that there are no priests and no Temple in Jerusalem today. We are the royal priesthood and the living temple. There is simply no room in this new convenant household for a priesthood over the Lord's people. We are the priesthood! Authority - If we can conclude that government and shepherding by elders and pastors cannot come from a priestly source, where else then can it come from? Notice that I avoided the word 'authority' in that last sentence. I wrote 'government and shepherding' instead. Why? Before discussing that I think we need to look at that word 'authority' in a bit more detail. There are two kinds of authority, two distinct meanings that we hold in mind when we use that English word. This has caused many people to become confused because the distinction is not often made clear. Let's think about two people - a policeman and a plumber. Let's take the policeman first. What do we mean when we talk about the authority of a police officer? We mean that if he tells us to get out of our car, we'd better get out of the car. If we're wise we'll do it in good time and without arguing. A policeman has been given authority from above. It arrives via his sergeant, and on up through an inspector, a superintendent, and eventually right up to the Chief Constable at Police Authority level. (This is the British system, others will be similar if different in detail.) Ultimately that authority goes to the Home Secretary, and on to Parliament, and then to the Queen. So when that policeman stops you, he draws upon all that hierarchy for his authority. The law is on his side. Now lets look at the plumber. He has no authority in the sense that the policeman does, yet he is rich in another kind of authority. Suppose a pipe bursts in your kitchen and starts to flood the floor. You need a plumber and you need one quickly. This is the authority of knowing what to do, the plumber's power is not delegated, but he has the skills to help you when you're in a fix. If a policeman tells you to leave the car you do it because of the law. If a plumber tells you to leave the kitchen you do it because he knows something you don't! Sometimes we say a person is a great authority on butterflies. We don't mean they have been invested with the right to order us around, we mean they are an expert and we would naturally call on them if we wanted to know more about a butterfly we spotted in the garden. Paul makes it clear that he has in mind that second sort of authority for the believers. There was no delegated, hierarchical leadership in the early church. There were no priests, no paid clergy, it simply did not work like that! Elders and pastors - When we read about 'elders' the Koine Greek word is 'Presbuteros' which really means an older, wiser, more mature person. This would be a person with the 'plumber' kind of authority, not in any way like a policeman and with no hierarchy to answer to. When the church was struggling with some issue (and there will always be issues!) they would naturally pay particular attention to these people. This is the 'double respect' that we read about, it does not refer to payment but to the regard such a person would be held in. It's not hard to find these people in the church today. Look around and you can identify them in any group of believers that have been together for a year or two. They are often humble, quiet, gentle people. They don't parade their wisdom, but everyone respects them and listens when they express a view on something. Similarly with a pastor (a shepherd). Jesus made a point of explaining the difference between a good shepherd and a bad one. Sheep are not driven by a shepherd, they follow because they know him. We shouldn't be looking for appointments in the church, we should be looking for functions. Let's begin to recognise the elders and pastors (and prophets and teachers and the rest). They're there in every congregation, in every cell group, in every house church, wherever two or three are gathered in the name of Yahshua. Look and you will see them. Submit and obey - Hebrews 13:17 is very interesting. I've looked hard and long at the Greek words translated 'obey' and 'submit'. They need not be as strong as they appear from those English words. 'Obey', for example has something of the meaning of 'defer to' or 'allow to persuade'; and 'submit' carries the sense of 'yield', or 'allow room'. It's also worth mentioning that the Greek contains no word for 'authority' in this verse, it's simply been inserted in translation. The idea of leading or leaders is rare in the Bible except in connection with the state or the army or the priests (look up 'leader' and 'lead' in a concordance and look at the contexts). The word translated 'leaders' here is one of those rare occasions. Personally I'm not clear how to understand this verse, I'd be glad to hear from any Koine Greek scholars out there who would care to explain the range of possible interpretations. The reason I wrestle with this verse is that in its usual translation it doesn't seem a good fit with the rest of the letters to the churches, not does it sit well beside Christ's teaching. He said, for example, 'You are not to be called Rabbi (Teacher) because ... you are all brothers' (Matthew 23:8). This doesn't cover everything that you raised in your post, Dan, but I hope it helps with some of the points. At any rate, this is more than enough for one blog post! Maybe I can come back another time to the other verses you listed, Dan. My prayer is that the church will understand these things in the way Yahshua intended. How desperately we need to see things his way, not ours. And in the end, it's not just a matter of correctly interpreting Greek texts (important though that undoubtedly is). The work of the Holy Spirit in our hearts is even more fundamental, only he can open the truth so that we see, only he can shine the light into the dark places, only he can lead us into all truth. Discussing the church as we experience it, we recognised that people in the world see 'church' in one of two ways. Either they see it in terms of a building, often an old and historic building, or alternatively they see 'church' as a denomination - 'The ... Church' (fill in the dots - Baptist, Catholic, Anglican, United Reformed etc). But the Bible never mentions the Church as being a building or a denomination. We felt we need to get back to what the Bible means by 'church'. Jody described a dream, she has been experiencing the dream repeatedly recently and it always involves an aspect of travelling. Sometimes her dream takes place in an airport or a plane, sometimes in a Canadian streetcar, a boat, or some other form of transport. In the dream she is travelling nowhere in particular, and she notices the same places and the same people over and over again. It's as if the journey is taking her round and round but she gets no further forward. We then began talking about books and the Bible in particular. We considered how we get an impression of what was in the author's mind when the book was written, but it's not possible to understand fully what the author intended. Even so, sometimes we have the sense that we have grasped it. And then we feel excited - 'Ah, now I get it!' This is true of the Bible too. How much we need to 'get' what the Lord means, what was in his heart as he authored it. Last week, Rachael wanted to pray for the ability to remain in the world without being affected by the world. It dawned on us that all of these ideas are connected at a fundamental level. As the Church we need to be so much more than a building or an organisation. And we don't want to just go round and round in our journey like Jody's dream. Instead we want to walk with the Lord and arrive at a destination with him. And it's the purposeful journey together that is the true church and represents Christ to the world. To travel that journey we need to understand what he means when he speaks and acts, we need to know his heart and whether we have fully 'got' the message. Rachael became aware of a heavy darkness. And we were given the word, 'A shark is a useful thing because it makes all the little fish swim together'. There's no further interpretation to this, though clearly it might mean that when times are good we might all wander and feel independent, but danger can be a useful thing if it causes us to draw together and act in unison. Hmm... Fruit... Can you smell it? Juicy and ripe, melt in the mouth strawberries, apricots, oranges, rasberries, melons, pears, bananas, blueberries. 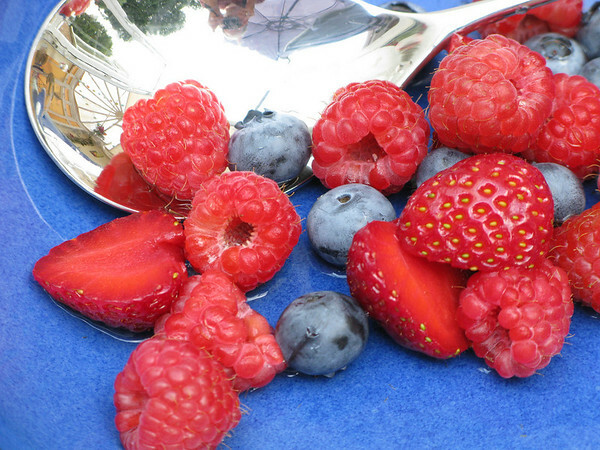 Can anything be more delicious and fragrant than perfectly ripened fruit? Sun-drenched, hand picked, unblemished, and perfect. What a contrast with fruit that has gone mouldy! But there's another kind of fruit, the fruit produced in our lives. Is that also fragrant, perfect, and unblemished? One way to identify a tree or bush is to take a good look at the fruit it produces. It turns out that this is a very reliable way to identify a tree. Can you tell the difference between a coconut palm and a date palm? If you're an expert or a local you can, but suppose you live in Wales or Ontario? But what if one palm has coconuts on it and the other carries a huge bunch of dates? You don't need to be an expert now, it's a no-brainer! It's the same with people, look at the fruit they produce in their lives and you will be able to judge right away what kind of person they are. The fruit of the Spirit - The Bible has something most important to say about this. Paul writes to the Galatian church (Galatians 5:16-26) that 'the fruit of the Spirit is love, joy, peace, patience, kindness, goodness, faithfulness, gentleness and self-control'. He contrasts this good fruit with the mouldy fruit of the sinful nature, and he writes that if we live by the Spirit we will produce the fruit of the Spirit. The Spirit here is the Spirit of Christ, the Holy Spirit, the Spirit of Truth and Power and Righteousness and of a Sound Mind. And what does it mean to live by the Spirit of Christ? Simply, it means that I no longer live but Christ lives in me. It's the only way! I used to work as a scientist studying the development of apple and plum fruit. Development begins with something small and almost unrecognisable as a fruit, initially it's just an insignificant part of a flower. But the young fruit grows in size and develops in character until it becomes ripe and mature and fully recognisable by its shape, texture, colour, fragrance, and flavour. As these fruit of the Spirit develop in a person they make themselves known, each of them in maturity has it's own distinctive shape, texture, colour, fragrance, and flavour. Shape describes the boundaries of a thing, its limits if you will. Texture tells us how a thing feels to the touch. Colour is something that must be seen, a purely visual thing. For fragrance we must inhale and savour the aroma carried in with our breath. And flavour can only be sensed by taking the thing in and absorbing it so that it becomes a part of us. To make this clearer we'll take love as an example. Concerning love - What is the shape of love, what are its boundaries? It has none! Love is without limit, it will stretch any distance, in any direction. Love is utterly determined to reach the one that is loved - no matter how distant. But love also has a texture, a 'feel' to it. When you touch love you feel its warmth like a glove. Love is not hard or rigid, it responds to pressure by giving way yet remaining in contact. We could say it has a spongy, foamy, stretchy texture. If you draw away from love, love will always try to maintain contact. There's a flexibility here, a constancy. What of the colour of love? It has to be a warm colour so we can set aside blues and greens. Love is always pure so we could imagine an admixture of white. There is no darkness in love so consider a delicate pink, light tangerine, or a pale mauve. Fragrance is interesting because breathing is involved and breath always signifies the spiritual. Love has an aromatic fragrance that we recognise immediately, it can't easily be confused with anything else, nor can it be convincingly counterfeited. It's never pungent or harsh, always pleasant and attractive. 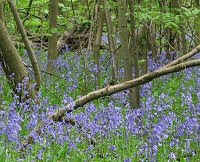 The aroma of hyacinths or bluebells fits quite well, or the fragrance of balsam downwind of a stand of poplars in the spring. And the flavour of love is like honey. Anyone who has opened themselves to receive love will know this flavour, it is unforgettable. If you do not open your mouth you don't taste the honey. Some people are like that, they will not (or cannot) open, they don't receive, the honey may coat their face and drip from their chin but they have no idea how sweet it is. The Song of Solomon speaks of a lover's lips being 'sweet like the honeycomb' (Songs 4:11). Why do you suppose the Bible describes Israel as a 'land running with milk and honey'? It's because the love of Yahweh is poured out on the dwelling place he has chosen for his people, just as his love is poured out on all who belong to his Son. Those who believe have opened their mouths, ingested that love, and tasted the sweetness for themselves. Those who reject Christ have closed their mouths and cannot taste. Taste it for yourself - The world needs to know that where the Father's love is concerned there is no third state. A person is open and has tasted, or is closed and has no idea of love's flavour. Nobody can put this choice off as if it's something to consider for the future. For all of us the die is already cast, if you want to change your mind and taste - do it now while there is still time. A time is coming when everyone must accept the choice they have already made.